Cheap Chinese tyres roll into Hyderabad market. Next time when you go for replacing your vehicle tyre, either car or motor cycle, beware you may end up buying cheap Chinese tyre. Hyderabad: Next time when you go for replacing your vehicle tyre, either car or motor cycle, beware you may end up buying cheap Chinese tyre. According to the local market sources, the Chinese tyres are being dumped in a big number in the Hyderabad market. While whenever low quality product is identified by the officials the Chinese suppliers would change the brand or the name of the company to avoid future black listing, he pointed out. It may be very difficult to assess the number of tyres being imported per month but every dealer is a potential supplier of low-cost China tyres. “We offer to every customer the China tyre, and price conscious customers will pick them, which is about 10 to 20 per cent lower than other branded products.” Importantly, the traders are not willing share any information on China dumping fearing trouble. With relaxing of anti-dumping norms by Indian government in 2014 and coupled with tightening of anti- dumping laws by the US government, Chinese manufacturers are looking for safer zones. 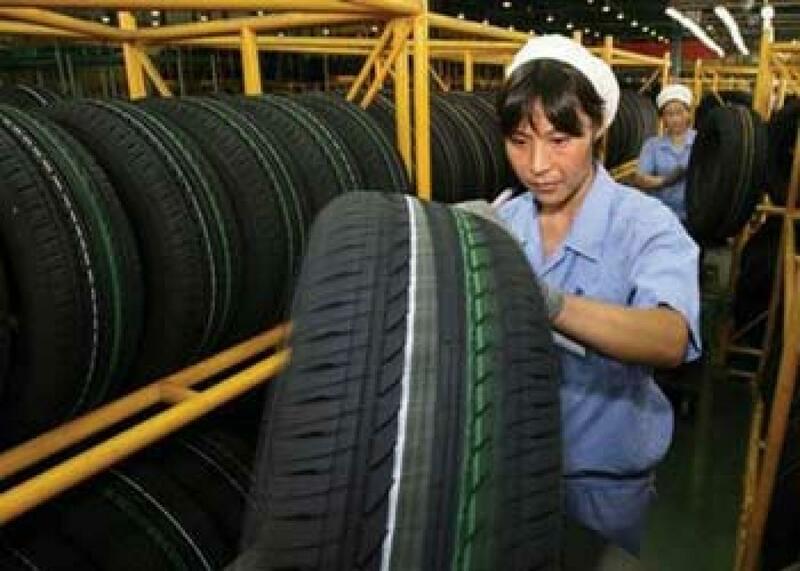 According to industry records, the China’s tyres export into India increased over 50 per cent during 2014 and is expected to go further in the current year. It was suggested to the government to increase the import duty on tyres to 20 per cent. Despite low price of rubber and other raw materials, the Indian tyre industry is facing stiff competition from the Chinese tyre dumping. In fact, Indian tyre makers are crying foul about unabated dumping by their Chinese counterparts for a while now. Rajiv Budhraja of Tyre Manufacturing Association was quoted as saying the situation will get worse as dumping of cheap tyres increases. The Chinese tyre imports are almost doubled, for instance, in 2014-15 the import of truck and bus radial tyres increased by 60 per cent, while replacement segment risen from 15 per cent growth in 2014 fiscal to 25 per cent in 2015 fiscal. In a way, for every four tyres sold in India, one is from China. The industry sources further say that most of the Chinese companies engaged in retreading activity are focusing on Indian market almost two to three containers would arrive on a weekly basis. Most of these tyres are making way into replacement market, they say.